The Cape Peninsula, from Lion’s Head all the way south to the Cape Point Nature Reserve falls within the Cape Peninsula National Park, managed by the South African National Parks Board. 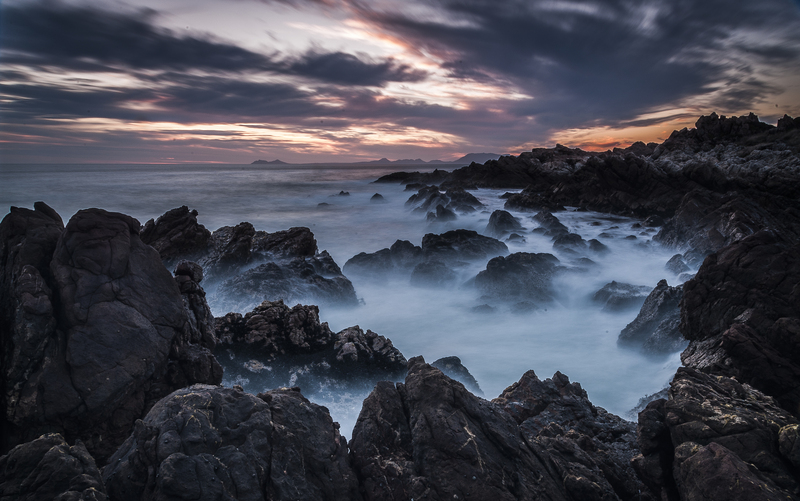 A fantastic coastal scenic route circumnavigates the Peninsula, from the False Bay coastline on the eastern shores to the Atlantic Ocean along the West. At roughly the halfway point the road to the Cape Point Nature Reserve turns off to the left and takes one into a fantastic natural environment! Ample off-road parking spots allow one to get-out and close-up to the scenery for excellent photographic opportunities. The famous naval town of Simons Town offers a wealth of interesting history, architecture and naval stories, such as the tale of the great dane, Just Nuisance!! We will visit the large, well-known granite rocks of Boulders Beach and the penguin colony. Afterwards we take a slow drive along the coast, stopping at a few places to admire the scenery over False Bay. Our tour will take us into the Cape Point Nature Reserve where we will first go on a short beach walk, the Oliphantsbos Point Trail, to visit one of the old ship wrecks along the coast. From there we will go to the Point where a trail will lead us along some fabulous high cliffs overlooking the sea. We will have our lunch break at the restaurant. After lunch we will leave the park behind and continue north along the atlantic side of the Peninsula where we will have some awesome views of the rough seas breaking over the coastal rocks! Again fabulous photographic opportunities along this route. Lenses – Wide angle and Macro.